The Filmar Hotel in Rhodes is located on the West Coast. It offers basic accommodation but is neat and comfortable. 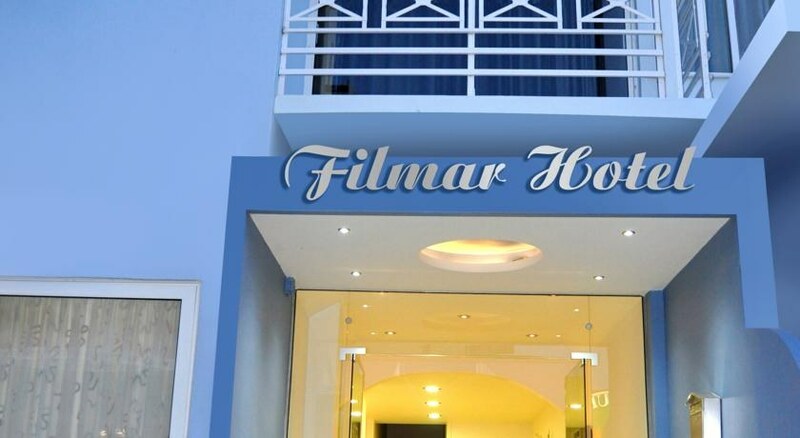 Filmar Hotel is at just 50 m distance from the beach. 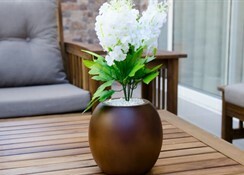 The hotel offers all the amenities required to make your stay comfortable. There is an array of restaurants, bars and cafes around the hotel in Ixia which serve varied cuisines. The Rhodes is a scenic walled city with plenty of pretty churches and traditional architecture for the history lovers. 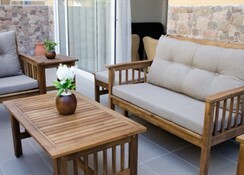 Guests can rent bicycles at additional charges to explore the places around Filmar Hotel Rhodes. An ATM/cash machine on the site makes money transactions very easy. The on-site shop provides some daily needs and souvenirs for the tourists. The temple of Apollon at 4 km distance from here is a historic attraction and often thronged by visitors. The medieval city of Rhodes is located at a distance of 6 km from the hotel. Guests can reach the hotel by air via the Rhodes airport at 7 km. The Palace of the Grand Master of the Knights is just 6 km from here. Guests can also visit the scenic valley of butterflies at 7 km from the hotel. A windsurfing school is just close by offering plenty of recreational choices. Ixia beach, just a stone’s throw can be windy but is a boon in summer months. But travelers may be wary of the choppy sea. The beach is pebbly and could do with more sand but very close to the town. You could just walk or hail a cab. Rhodes being a small Island, and a coastal road encircles it, so all tractions could be covered in half a day’s drive. 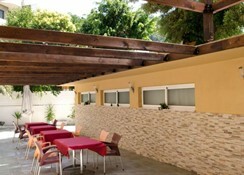 Filmar Hotel Rhodes houses 48 rooms equipped with a W/C and shower. 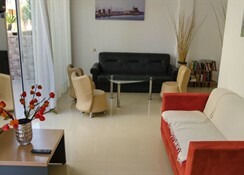 One can also find flat-screen TVs, balconies or terraces in the rooms. A mini fridge is provided for your convenience. Guests can stay connected with their loved ones over the free WiFi here. The air-conditioned rooms make your stay pleasant and comfortable. A daily maid service keeps the rooms neat and tidy. Filmar Hotel Rhodes has a swanky bar serving some exotic alcoholic drinks and soft drinks. There are many restaurants at walkable distance from here serving a wide variety of international cuisines. Guests can use the pool at a neighboring hotel nearby. The pool there is surrounded with chairs, tables and sun loungers and looks very plush and inviting. A 24-hour front desk is always present to help the guests. 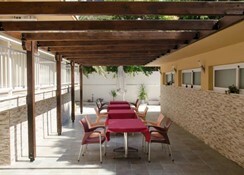 Guests can relax by the pool reading some books from the library here or soak in some sun at the sun terrace.